Short- or far-sighted, corneal curvature or reading glasses – our modern eye lens surgery allows nearly every patient to lead a life without glasses or contact lenses! For lens surgery Smile Eyes rely on modern and compatible artificial lenses that can be implanted with minimal-invasive surgery or in addition to the endogenous natural lens. The alternative to eye laser. Reversible and for highly defective vision. The ICL is a kind of contact lens that is introduced into the eye thus allowing the correction of highly defective vision – it is considered a safe and gentle alternative to the eye laser correction. With refractive lens exchange the endogenous lens is replaced with an artificial lens. 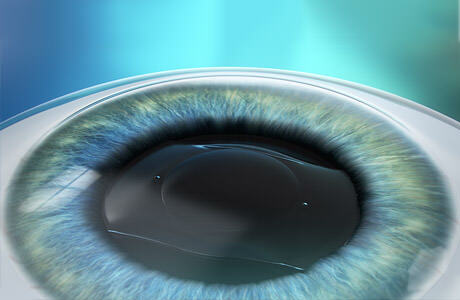 This kind of lens surgery allows the precise correction of highly defected vision. Especially for patients with a high far-sightedness, a life without glasses can be made possible. the possibility to treat higher levels of short- and far-sightedness. "Modern lens surgery as a safe alternative to eye laser." "A life without glasses thanks to high –quality lens models and precise surgical technique." Eyes differ. Depending on the state of the eye and the type of defecting vision there are different methods. 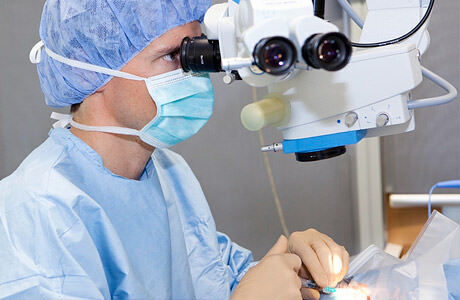 With Smile Eyes lens surgery our experienced eye experts opt for long-lasting and highly tolerable lens models and proven surgery techniques. Any questions regarding lens surgery?